After the celebrations of the fiftieth anniversary of Yuri Gagarin’s historic space flight in April, it is worth remembering that the event which really inaugurated the space age happened four years earlier, namely the launch, in October 1957, of Sputnik. Matthew Brzezinski’s fast-paced and fascinating book on the subject goes even further back, opening with a chilling description of the dawn of the rocket age with the German V-2. The world’s first ballistic missile was a weapon of incredible technical sophistication by the standards of the time, which was why in 1945 the Americans seized not only all the unlaunched V-2s, but also their designer, Wernher von Braun. The Soviets tried too but got much less. However, they made better use of their booty, giving their Germans everything they needed to work in comfort, and starting an ambitious programme of military rocket development. The Americans, by contrast, sent von Braun and his colleagues to Fort Bliss, a wired camp in the dusty, snake-infested west Texas desert. Once a week the aristocratic, cello-playing professor was allowed out, under supervision, to watch drunken roughnecks punching each other in the fly-blown bars of El Paso. For five years von Braun bombarded everyone he could think of with ideas for new rockets, but was ignored. The only person who took him seriously was Walt Disney, who employed him to present a different kind of space programme on his new TV channel. Up to 1954, the total amount the US government had spent on satellite research was $88,000. By then, in the Soviet Union, Khrushchev was in charge and a gigantic rocket, the R-7, was on the drawing boards of Sergei Korolev and propulsion specialist Valentin Glushko (who gave his name to the Energomash rocket engine factory that still operates in Khimki). It was much bigger than anything under development in the United States for the simple reason that both nations intended their rockets to carry hydrogen bombs, and American ones were much more compact than their Soviet counterparts. With an economy in crisis, Khrushchev wanted to limit the defence budget by replacing armies, tanks and long-range bombers with ICBMs. He never thought about satellites. When Korolev suggested building an “artificial moon”, he was given a grudging go-ahead, on condition that it did not interfere with the military rocket programme. Few wanted to divert scarce resources to such a “frivolous” project. It would take up a lot of time on the country’s only large computer. One senior general objected because, though he could see why the Americans might want to spy from space on the Soviet Union, the reverse did not apply as Soviet intelligence agents could buy reliable maps at any gas-station in America. In fact, since Korolev’s huge rocket took nearly a day to erect, fuel and launch, it was useless as a weapon of war. American bombers could have destroyed it long before lift-off. The real significance lay in Sputnik, with its “nuclear” public relations impact, which both Khrushchev and Korolev missed— at least until their rivals inadvertently pointed it out to them. The national panic—that is hardly too strong a word—which ensued after ordinary Americans realised that above their heads a Soviet space vehicle was passing by, and there was nothing their government could do about it, was so marked that even Khrushchev noticed. He noticed even more, when the USSR was suddenly seen abroad as a country to be admired, rather than feared as had been the aim of its ICBMs. What was President Eisenhower doing to redress the imbalance? Playing golf, was the short answer. The press started referring to the White House as “the Tomb of the Well-known Soldier”. When the United States launched the smaller Vanguard rocket by way of reply, it travelled just four feet before exploding spectacularly in a mushroom-shaped fireball. The press variously dubbed it Splatnik, Flopnik, Dudnik and Oopsnik. The Soviets jeered and offered technical assistance. America’s humiliation was complete. After Sputnik and Gagarin, the Soviet Union leveraged its triumphs and was taken to be a scientific-technical super-power, which was only half true. 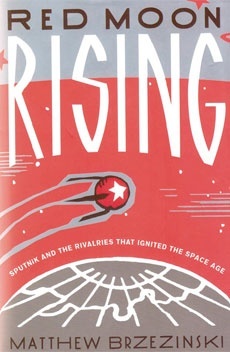 Perhaps because they were not “business people”, successive Soviet leaders refused to “admit fairly” that in the long run the space race was beyond the capacity of their economy to sustain. In the 1980s, their nakedness was lethally exposed by the Star Wars project, which faced the Soviet Union with the apparent need to spend money it could never possibly find to counter a threat which, as we now know, never actually existed. That was American’s best-kept secret. Ironically, the state which had lived by exploiting the gullibility of others, died as a result of its own gullibility, hoist by its secret petard. Kipling would surely have seen the poetic justice in that.